Fed and Bougie is a destination where my work focuses on the intersection of food and community, entrepreneurship, and culture. Fed and Bougie Stories about food, for the culture. 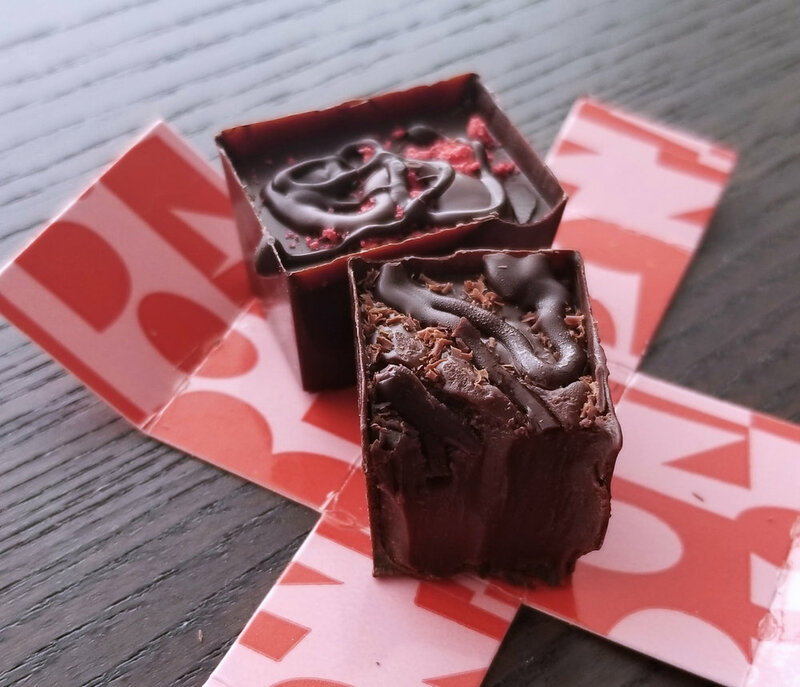 Bon Bon Bon is an artisanal chocolate shop in Detroit that opened in 2014. It’s the brainchild of Alexandra Clark, who was born into a chocolate loving family. As a teenager, she thought she would open an ice cream shop. After she had, what she describes, as “the best piece of chocolate in my life” in Amsterdam, she decided to dedicate her life to chocolate. If you’re not familiar, a bon bon is a thin chocolate shell (or box) with a ganache or caramel filling and no top. The first time I had the bon bon bon experience was in late 2017, when my husband-then-boyfriend came home and surprised me with a box of them. I took one bite and instantly fell in love with its creamy center topped off by the delicate crunch from the chocolate shell. Alex and her team of 16 (affectionately called babes babes babes) have created over 200 flavors, with combinations like Crème Brulee (vanilla bean custard ganache, brûlée sugar, brown sugar, dark chocolate shell), high tea (earl grey tea devonshire cream dark chocolate ganache, hemp seed nougatine, smoked sugar, cornflower petals) and PB & Jam (honey-roasted peanut butter, triple berry jam, milk chocolate shell). There’s 24 favorite flavors that rotate throughout the year, and seasonal collections are created five times a year. According to Alex, bon means “good.” A bon bon is two polite bites or one impolite bite. Alex said when she was in the process of starting her business, she wanted her product to be the perfect size chocolate. How did she come up with that? She measured the inside of people’s mouths! She found that, at rest, the mouth is 1-inch diameter for the space around your lips. “Water is the enemy” Alex told us. We melted the chocolate in a microwave at 15-30 seconds at a time, stirring in between. The chocolate is sourced from Ecuador and Columbia. Alex and her team have a relationship with farmers and buy from a woman-owned chocolate processor. They have complete control over their supply chain. Packaging is from Northern Ohio instead of China, where chocolate packaging commonly comes from. Stirring the dark chocolate and cream in little tiny circles to limit working in too much air. White chocolate – A lot of people say that they don’t like white chocolate, and Alex says she doesn’t either. She says it’s easy to make a bad white chocolate because it’s dependent on the milk solids and cocoa butter. Cocoa butter is the most expensive part of chocolate since it melts at body temperature naturally, giving chocolate that smooth, melt in your mouth feeling. The first thing that people usually skimp out on is good cocoa butter, which is why a lot of white chocolate doesn’t taste as good as others, said Alex. Empty shells ready to be filled. Be sure if follow Bon Bon Bon on Facebook, Twitter, and IG. If you want a taste but can’t get to the store, good news! Bon Bon Bon ships to anywhere in the U.S. Check out their website for more.